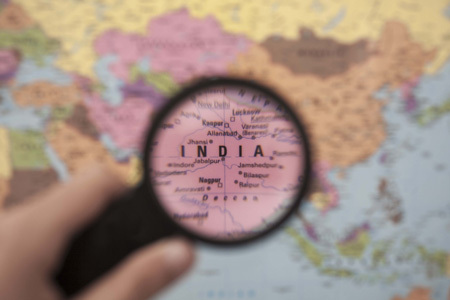 Indian government and local medical device manufacturers are working together to strategize growth for the nascent industry. Moves under consideration include separation of medtech from its pharmaceutical industry, increased government funding for the medtech industry, and the renegotiation of existing free trade agreements (FTAs) with other countries. The device industry also is asking the government to recognize local regulatory certifications, in addition to the currently accepted FDA approval from the U.S.
Medical devices in India are currently governed by the Drugs and Cosmetics Act of 1940, which was written primarily to govern pharmaceuticals. By splitting medtech from pharma, the Indian government is hoping that the industry can chart its own course moving forward, spurring growth for the industry. India’s Health Ministry recently introduced a new regulatory document, Medical Device Rules 2017, which is specific to medical devices. For example, medical devices currently are put through the same four phases of clinical investigation required for pharmaceuticals, but new regulations require two, explained KL Sharma, joint secretary of the Indian Health Ministry, to the Hindustan Times. New regulations will come into effect in January of 2018, giving manufacturers a year to prepare, said Sharma. Medical devices currently are governed by the ministry of chemicals and fertilizer, but this may also soon change, stated Ananth Kumar, union minister for chemicals, in remarks to the Indian Pharma and Indian Medical Devices International Conference. Existing FTAs allow for the duty-free import of many medical devices, which has had an adverse effect on industry growth. Last year, the government reinstated import duty at 7.5 percent, but concession duty continued for at least 21 medical devices, reported Economic Times Healthworld (ET), citing documentation from the Association of Indian Medical Device Industry (AIMDI). AIMDI forum coordinator Rajiv Nath told ET that the association would like import duty increased to 10 percent. The association also is seeking government acceptance of local device regulatory certification, the India Certification for Medical Devices (ICMED), and the International Organization for Standardization (ISO). The Indian government currently only considers devices approved by the U.S. FDA, which prevents local companies from participating in government tenders for procurement of medical devices, said Nath. According to Times of India, the government already has agreed to fund construction of some basic facilities in forthcoming medical device parks in certain states, a move that would reduce cost of medtech manufacturing in the country by 30 percent. India’s medical device industry is growing at about 15 percent per year and is projected to reach $25 billion to $30 billion by 2025, according to Gunjan Bagla, founder of Amritt Ventures. Indian manufacturers are bringing products to market faster than their Western competition and at a reduced price, making India an increasingly attractive “hotbed for device startups,” said Bagla.